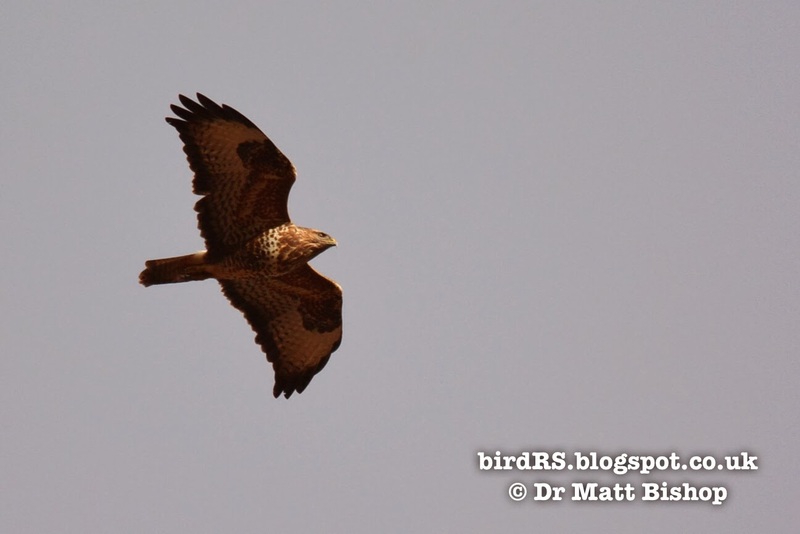 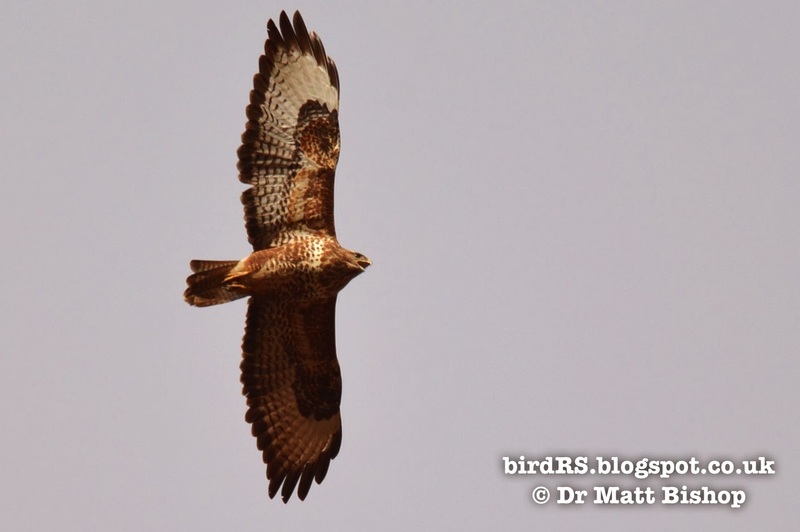 birdRS: Common Buzzard (Buteo buteo): some great views over the River Tyne of four birds soaring, and being mobbed by a Corvid. 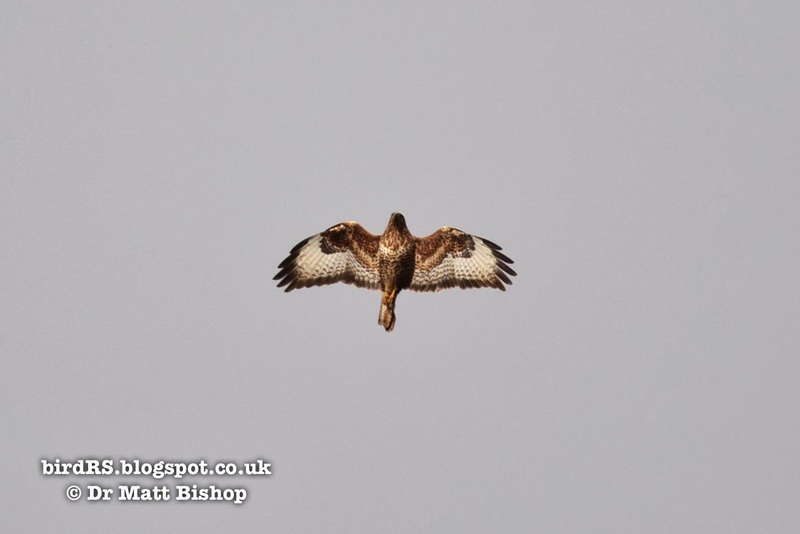 Common Buzzard (Buteo buteo): some great views over the River Tyne of four birds soaring, and being mobbed by a Corvid. 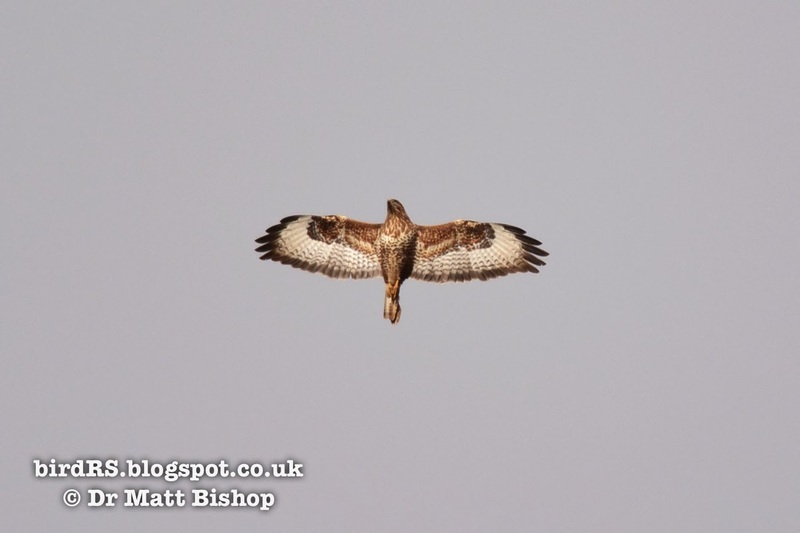 The golden winter sun gave some good light to pick out the plumage and colouration of four Common Buzzards that were circling over the arable fields by the River Tyne near East Linton. 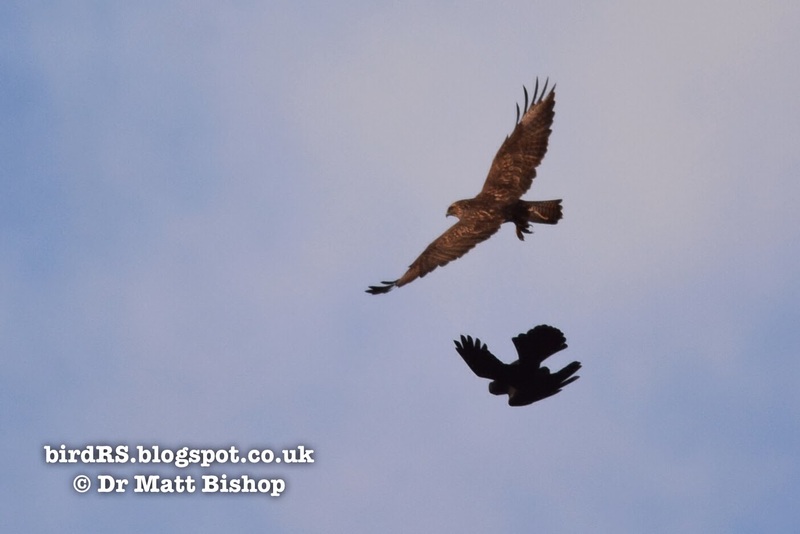 They were regularly calling to each other and had to fend off a pestering Corvid that was determined to keep them out of its patch. 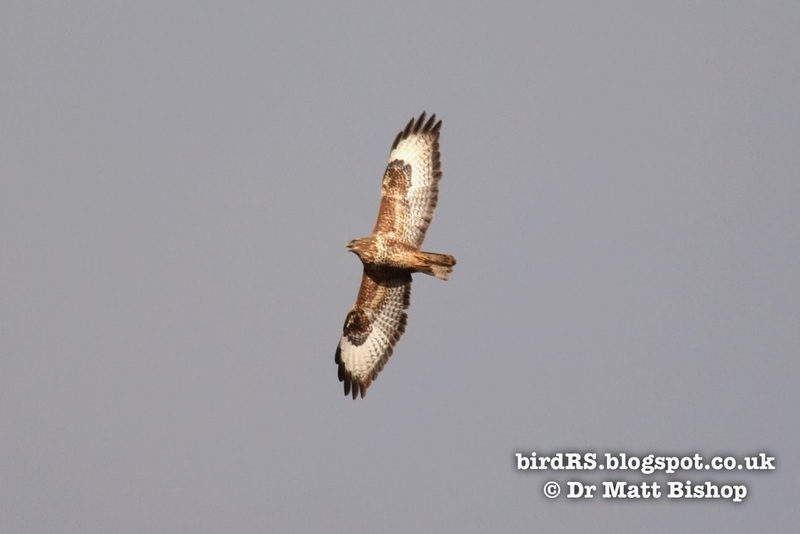 I had hoped that at least one of the birds would land so that I could get a closer look and another photo but they were enjoying the warm air currents whilst they lasted. 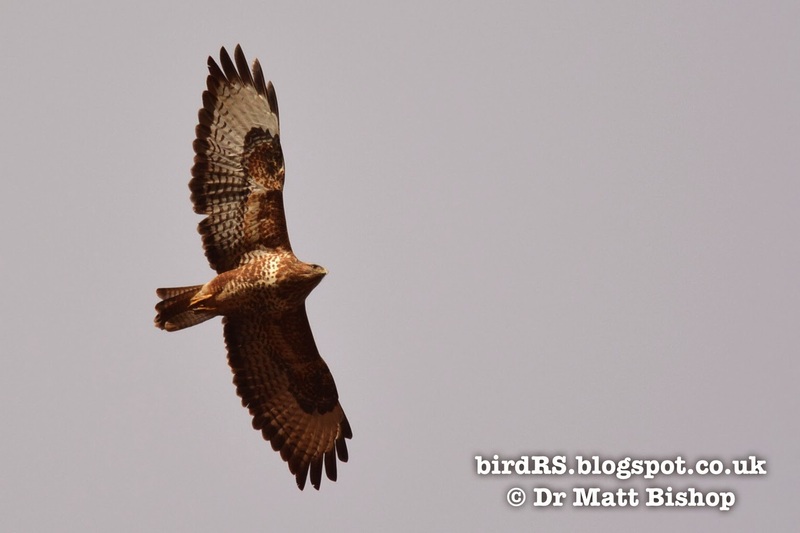 It is so good to see these now thankfully familial birds filling the skies with their broad wings, and distinct 'raptor' calls.